Anyone who has spent a half second on Twitter or Facebook has come across the ‘Social Media Expert’. The unpopular kid from college who has spent all their waking hours trying to unlock the secrets to making money in social media. Each is pulling for your attention in an attempt to convince you that their system for social media is the best. Most will even charge exorbitant fee for their special training program –I’m talking thousands of dollars. What bothers me the most about these people is they are ruining social media. Absolutely ruining it. Before I really get started I must clarify that social media is a great tool from driving traffic to your website and building reporte with customers and future customers. It has changed the face of marketing and public relations forever. Businesses and consumers are interacting like never before. Additionally, their are individuals who know their social media. The funny thing about that is NONE of them call themselves Social Media Experts. With that being said, social media is supposed to be about having fun. Isn’t that the point of meeting new people –it’s fun? OK, back to these experts of social media/networking. The big pitch for these guys is to get you more Twitter followers. That is typically the meat and potatoes of their system. How do these seemingly normal people acquire SO many followers? Here’s the big $3000 secret. You ready? THEY FOLLOW EVERYONE AND THEIR BROTHER! That’s it! Most people on Twitter feel the need to reciprocate (a href=”http://www.amazon.com/Influence-Psychology-Persuasion-Business-Essentials/dp/006124189X/ref=sr_1_1?ie=UTF8&qid=1248442697&sr=8-1″>See Robert Cialdini’s book INFLUENCE follow and will follow you back. Seriously, this is their secret to more followers and I have given it to you for free. Next time you come across one of these people, check out their profile. Often they are following tens of thousands more users than are following them. I get a minimum of 20 followers who follow in hopes that I will reciprocate. I check out their BIOS and they stink of spammers. Stop this! The expert’s next big secret is all about integration. Yes, that’s it. They want you to pony up the big bucks so they can show you how to put links on your Twitter, Facebook, YouTube, and digg.com accounts. Some expert huh? Some even offer to intergrate your accounts for you. Give me a break. If you don’t already do this or know how to do this, please leave me a comment or, even simpler, look it up on Google. Twitter, Facebook, and YouTube. Soon everyone will have a presence on these platforms. We are in a very exciting time in terms of how the web is influencing the world around us. These networks have given the people a voice. Customers are regaining control of the marketplace, no longer to be pushed around by the giant corporations. Small business owners are getting the word out, while not spending a fortune in advertising. And…most importantly, Tila Tequilla has found her way to Twitter (God help us all). If you want to be success with social media or simply wish to know more about it, you don’t need to spend huge sums of money. Do the research and find the reputable blogs. There are many legit sites out there looking to help you. Oh yeah, and they’re free. 80% of EVERYTHING you need to know about social media can be learned from a handful of blogs. If you happen to be one of those people (like me) who isn’t satisfied with 80%, them check out Amazon.com. The search term ‘social media’ will bring you tons of results. Putting the Public Back in Public Relations, by Brian Solis A great book which explains how we must adapt our methods to match the times. A must read. Me 2.0 by Dan Schawbel There are just as many personal branding experts as there are social media experts. Dan is the only guy who seems to have it right. Anything by Scott Ginsberg Scott is the man! His attitude and overall approach to live make him one of the greatest networkers out there. 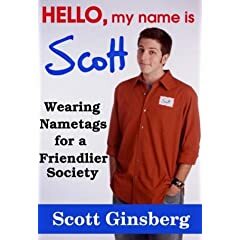 Read everything you can find by Scott. The New Rules of Marketing and PR by David Meerman Scott This book is a nice starting point for anyone getting into social media. A great comparison of what worked then and what works now. While not solely focused on social media, this book teaches and instills the work ethic you will need to be successful in your marketing, public relations, and social media efforts. Hey, that is very true. Everything to learn about in social media can be learned at a handful of blog’s. I’m going to make sure i take a look at those book. I myself apreciate free advisors such as yourself. People like you make a difference. To be honest i have written a couple of blogs myself.Read my blog This one is actually about new social im thinking about investing in. Please read it if you have time. BTW thanks Brian for the tips. Thanks for the comment and kind words. Just read your post about ATW. Very interesting, I’ll have to check it out. The Conversation Prism PR in the news and on the web.